If you have ordered a new touch screen digitiser for your iPad 4 and are unsure how to secure it onto the rear case frame then look no further! This set of iPad 4 adhesive strips are the safest and most efficient way to correctly attach the iPad 4 digitiser to the rear case assembly. 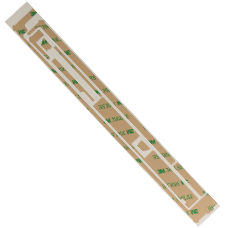 The strips are laser cut to the exact perfect shape so your iPad 4 screen repair has a full fitted finish. * 8 Mounts Per Set.